What was the name of the son who left home, and went to a far country? 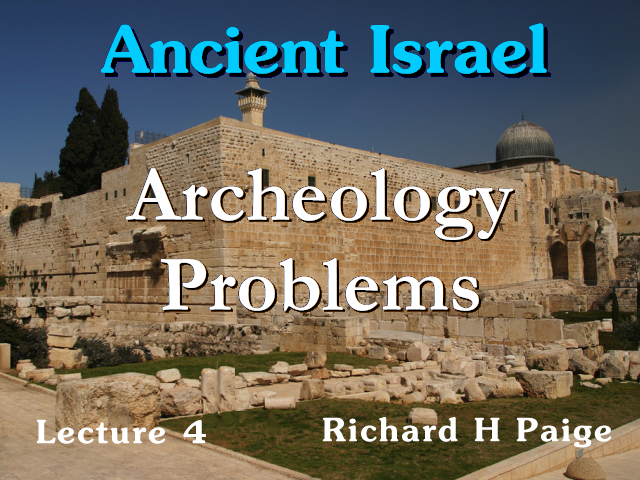 This is lecture number 4 for Ancient Israel, Archeology Problems. In the last few lectures we've been taking a look at Archeology as far as its methods are concerned, familiarizing ourselves with the degree with which it is scientific and also seeing the element of art especially in the area of interpretation where many things are quite subjective. Then we want to turn our attention to the major problems that Archeologists have to deal with, that create of Archeology a science with largely tentative conclusions. The end results of these problems, as I said is that Archeology is a science that has largely tentative conclusions.